TORONTO - Second friendy match for Inter, led out by Rafa Benitez, at the Rogers Centre in Toronto Inter face Panathinaikos. Kick off the beaten by Inter, which show off the beautiful new away uniform. The Greeks wearing the traditional green one. 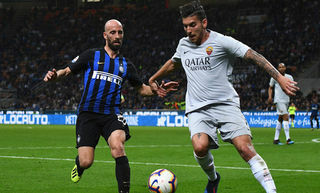 The first clear chance on goal is for Inter to 12 minutes. Obi flies on the left, outrun a couple of opponents and passes for Obinna, the conclusion touches the pole to the far right Tzorvas the Greek keeper. One the other side Panathinaikos goes on target. Leto cross for Cisse who shoots from close diastase, Orlandoni rejects thanks to a feline reflection, but the French striker with a second conclusion finds the goal. 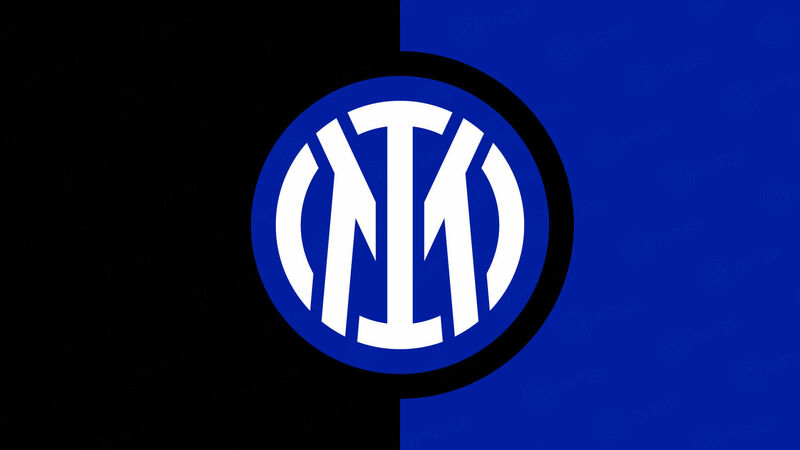 Inter tries to replicate at minite 18 with a valuable combination Eto'o-Cambiasso, the conclusion of Argentina is wide. At minute 22 Panathinaikos doubles. Cisse's after a personal action finds an unstoppable shoot that strikes Orlandoni. 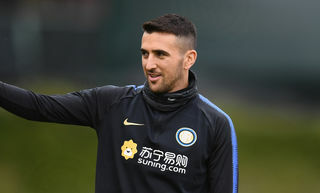 Inter shortens the gap to 32' with Eto'o that exploits a faulty Greek keeper rejection, controls the ball and with a left touch beats Tzorvas. At 42 third goal for the Greek team: Ninis touches for Leto that finds a nice lob on target. At the beginning of the second half eight changes are made by Benitez. The Nerazzurri , first with a header by Nwankwo, then with a right footed shot of Coutinho finds the goal from the first minutes. Inter's pressing results in the Inter first goal in the Nerazzurri shirt of Coutinho. Assist by Maicon for the young Brazilian talent that controls with right and ends on target. Inter close to draw at minute 90, cross from the right by Maicon for Milito whose header is to the side. The match ends without any emotions after four minutes of extra time, Inter beat Panathinaikos 3 goals to 2. 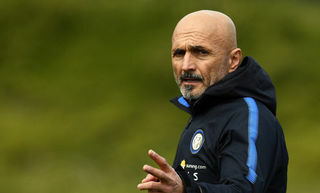 For the Nerazzurri are not enough provision of grit and character and no fewer than 18 offensive operations, to beat the opponents. 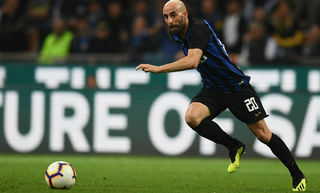 INTER: 21 Orlandoni; 4 Zanetti (18' pt 57 Natalino, 28' st 13 Maicon), 2 Cordoba (1' st 34 Biraghi, 28' st Samuel), 23 Materazzi (1' st 16 Burdisso, 28' st 6 Lucio), 26 Chivu (28' st 11 Muntari); 33 Obinna (1' st 50 Biabiany), 17 Mariga (1' st 5 Stankovic), 19 Cambiasso (1' st 29 Coutinho), 20 Obi (1' st 40 Nwakwo); 9 Eto'o (1' st 31 Alibec, 28' st 39 Santon), 27 Pandev (1' st 30 Mancini, 28' st 22 Milito). Subs nou used; 1, Julio Cesar, 12 Castellazzi, 92 Gallinetta 5 Stankovic, 6 Lucio, 11 Muntari, 13 Maicon, 22 Milito, 25 Samuel, 29 Coutinho, 30 Mancini, 31 Alibec, 34 Biraghi, 40 Nwankwo, 50 Biabiany, 54 Dell'Agnello. PANATHINAIKOS: 30 Tzorvas; 24 Vyntra (17' st 25 Seitaridis), 3 Sarieghi, 8 Kante, 31 Spyropoulos (17' st 18 Bjarsmyer); 23 Simao (45' st 14 Charalampos), 29 Katsouranis (17' st 26 Karagounis); 10 Govou (17' st 22 Marinos), 7 Ninis (35' st 21 Dimoutsos), 11 Leto, 9 Cisse (35' st 28 Petropoulos). Subs not used: 2 Ioannidis, 27 Karnezis, 1 Galinovic, 19 Dos Santos Rodrigues, 38 Silva Cleyton, 45 Melissis. Yellow carded: Cordoba, Sarieghi, Karagounis, Strankovic, Muntari.